Joëlle Rizk became a TFF Associate in December 2009, served as TFF Board member 2010-February 2014 and is now again TFF Associate. Joëlle Rizk comes from Lebanon. She holds a B.A. in International Affairs and Diplomacy and an M.A. in Peace and Conflict Studies. Joëlle has worked with civil society in Lebanon on governance, peace building, reintegration, and development. She has worked on transnational security with Isticharia for Strategic Studies in Lebanon and the Middle East as a program analyst, and with the United Nations Development Program in Afghanistan as an International Consultant. Joëlle is co-author of The Battle for Khorasan (2010), a book studying the conflict in Afghanistan and the rise of Islamic militancy in relation to geostrategic interests in the region. From 2011 to 2013, she worked as Program Associate of the EastWest Institute Regional Security Program, where she managed the Abu Dhabi Process in Afghanistan and Pakistan, and the Amu Darya Basin Network in Afghanistan and Central Asia. 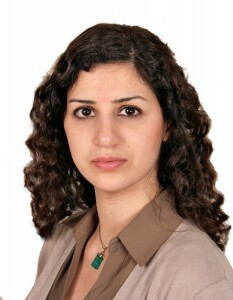 Joëlle Rizk became a TFF Associate in December 2009 and served the TFF Board from 2010 till 2014. Joëlle consults with the award winning REVOLVE Magazine on Natural Resources Development, and with Brehon Advisory on the Middle East and Central Asia. She currently works as Delegate of the International Committee of Red Cross.